<cac_lab> is a place dedicated to the inquiry of present-day matters regarding art, design, science, technology and their impact on global contemporary culture and society. Through artistic practice, technological tools and research methods, we enable creative processes that result in works of art of high production and academic value. <cac_lab> is a space of flux which encourages artistic practice as a generator of new knowledge, a territory where art and science converge into a contemporary and experimental field of academic research; free from mainstream cultural thought, technological stress and economical diversions. Emotive Networks & Haptic Gaming: Using networking and Internet technologies to share biofeedback data (EEG and ECG as well as other body-based sensors, wearable technology, etc.) and physical computing to create body-actuators (haptic and force feedback) in order to produce expanded/immersive gaming and telematic experiences, performances, interactive objects and responsive environments. Generative Art and Big Data: online back-end (server), front-end (interface) programming and internet enabled hardware/objects focused on the development of real-time data-mining and scrapping applications, generative art, interactive installations and dynamic sculptures, which utilize and process data using swarming, flocking, machine learning and genetic algorithms. Intelligent Audio-visual Systems: Augmented and virtual reality, mobile technology and/or custom hardware to explore non-linear, experimental narratives in cinema, T.V, mobile devices and other media. Autonomous audiovisual and/or music systems that make use of participatory dynamics, in both physical and virtual spaces and explore the use of the large-scale, 360 degree projection system located at CAC. Existential Technologies: This line of research explores the use of wearable technology, robotics, interactive media and physical computing in order to examine fundamental ontological questions regarding the nature of reality and human perception; synesthesia, sensory substitution, sensory augmentation, etc. It from bit: Aesthetic objects that examine the ideas of simulation and representation through the hybridization of digital and physical forms. The transmutation of bits into atoms and vice-versa becomes the exploration of new forms of art in the field of mixed and mediated reality through physical computing, VR and AR. fito_segrera is an artist, technologist and Head of Research/Creation at Chronus Art Center, Shanghai. He studied fine arts and Audiovisual / Multimedia production at Jorge Tadeo Lozano University of BogotÃ¡, Colombia and completed an MFA in Design and Technology with honors at Parsons, The New School, New York, while being a Fulbright Scholar from 2013 until 2015. 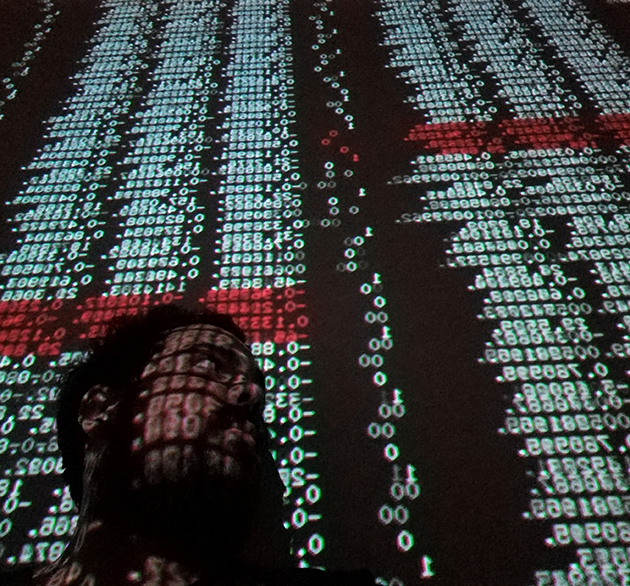 His current research and creative practice appropriates elements from digital philosophy, artificial intelligence, monism and modern physics while using physical computing, software programming and information / telecommunication technologies to inquiry in fundamental ontological questions regarding the nature of reality and the physicality of the universe. Some of his most recent shows include: I am here to lear: On Machinic Interpretations of the World, Frankfurter Kunstverein, Frankfurt, Germany, 2018, UNREAL: The Algorithmic Present, House of Electronic Arts (HEK), Basel, Switzerland, 2017 & Chronus Art Center, Shanghai, 2017, VARIATIONS, Paris, France, 2016, PLUNC Festival Lisbon, Portugal, 2016, Migrating Fronteers, Chronus Art Center, Shanghai, China, 2016/2015, Shanghai Art and Design Fair, West Bund Art Center, Shanghai, China, 2016, SIGGRAPH, Vancouver, Canada, 2014, Collision 20 & 21, Boston Ciberarts Gallery, Boston, U.S.A, 2014, Huston International Performance Biennale, Huston, U.S.A, 2014, SXSW, Austin, U.S.A, 2014, Emoji, EYEBEAM, New York, U.S.A, 2013, Dorkbot, New York, U.S.A, 2013, Harvestworks, New York, U.S.A, 2013.